Home » Content Marketing » 5 Bad Ways of Content Marketing that Can Drive You Bankrupt - Fast! 5 Bad Ways of Content Marketing that Can Drive You Bankrupt - Fast! Content Marketing encompasses many digital marketing techniques such as blogging, email marketing, and social media marketing. According to Forbes, as many as 88% B2B marketers use content marketing as a part of their strategy. But the 2015 survey by the Content Marketing Institute (CMI) presents a gloomy picture. 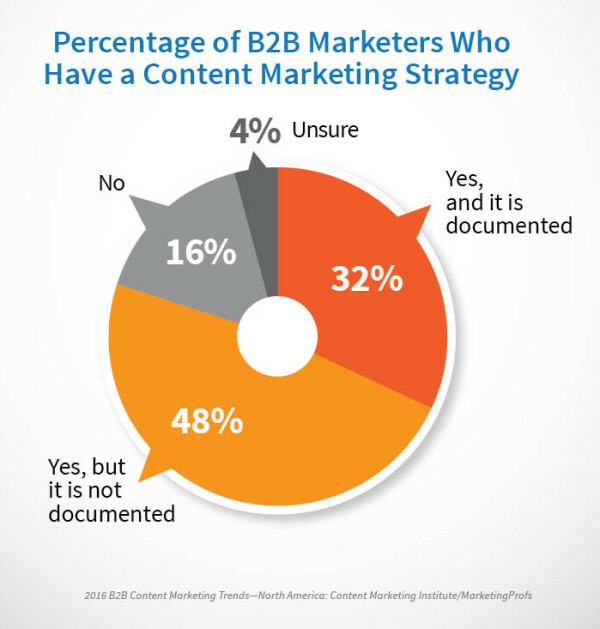 It says that only 8% B2B marketers believe that their content strategy is ‘sophisticated’, which means that they are able to measure its success against business metrics accurately. It’s like working with a blindfold. • Define your Key Performance Indicators (KPIs) and Metrics which you will track to assess the success of your efforts. • Hire the best content writers you get and make sure that content writing and publishing happens according to the editorial calendar you have chalked out. • Review your strategy on a regular basis, and keep revising it accordingly. Irrespective of how great your content is, no one is going to read it until it is promoted properly. It also means that your organic traffic will not increase and you will not see any online conversion rates. Gradually, all these potential customers will slip away to your competitors’ kitty. ‘Writing’ and ‘Promotion’ work has to complement each other too. If you haven’t defined your target readers yet, you can simply stop wasting your money on marketing efforts. You must know who your audience is, what kind of things they are interested in, what kind of information is valuable to them, and where they hang out. Armed with such information, you can come up with relevant themes and topics to write on, and bring out new aspects or angles through your stories. The things get worse, when you start pinching penny while hiring content writers. If a writer churns out low-quality content for you, simply re-writes whatever is already available on net, or writes something with a lot of spelling or grammatical mistakes – your money is going down the drain. A blog post with typos is a sure-shot way to repel readers. You have a great content piece that you promoted well, and it is attracting readers too. These readers like your suggestions and advice and want to know more about you - but they get stuck because you don’t have an ‘About’ page! You lost a wonderful opportunity to let the customer know about your brand. Having an ‘About’ page is not only important to share information about you but also establishes your credibility and trustworthiness. You may also use it to share your personal stories with the audience and engage them further. Hubspot claims that content with relevant images gets 94% more shares. High-quality images or graphics can make a blog post or a content writing piece visually appealing and attracts more readers. 0 Response to "5 Bad Ways of Content Marketing that Can Drive You Bankrupt - Fast!"